Fry up your meatless patty options following the package directions. While you're cooking them, break up the patties into sausage crumbles using your spatula. While your veggie sausage is frying, prepare your gravy following your gravy packet's directions. 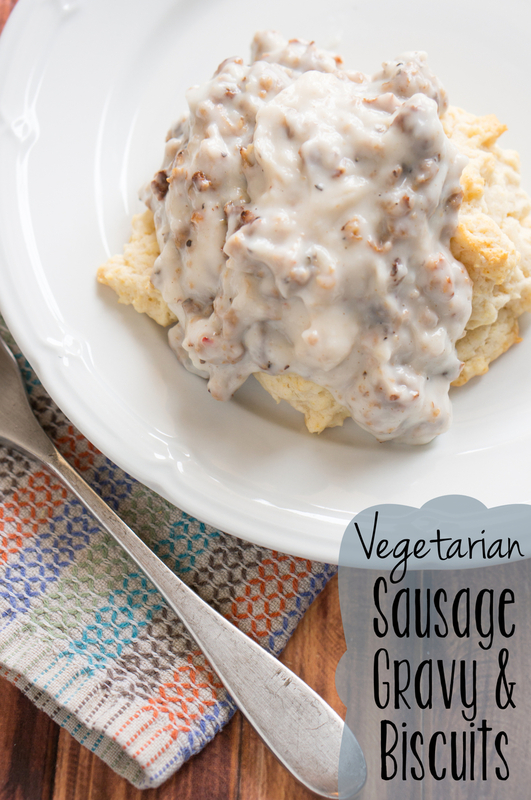 Once your sausage and gravy are both ready, mix the two together to create your sausage gravy. Spoon the gravy over your biscuits and enjoy!